To say the autumn/winter 2018 fashion trends are really tempting is a massive understatement. 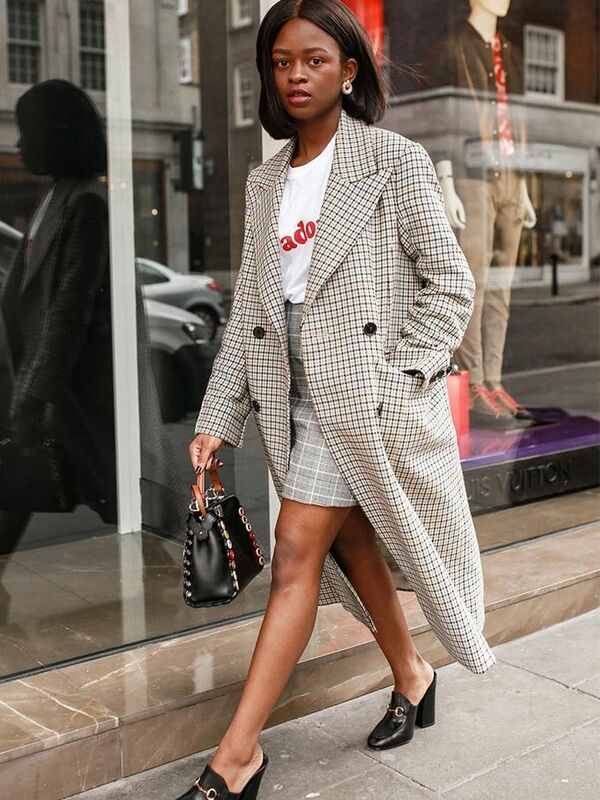 Some of the key looks for the new season have hit both high-fashion departments and high-street stores way in advance, with the chief of the tribe found within the huge array of animal prints that have touched down everywhere from Balenciaga to Topshop. If you aren't wearing leopard, zebra, cow or snake prints within the next few days, I'll eat my new Manolos. This first major trend is an indicator of what's to come for the rest of the year: things are looking loud, shiny, touchy, feely, Instagram-this-ASAP. You could say it's an "always on" approach to getting dressed: No outfit—no matter how casual—is devoid of a talking point or two. There are the boldest iterations of this way of thinking: imagine super-short party dresses rendered in '80s-style duchess satin with puffy shoulders, worn with all of the not-so-essential accoutrements for making a grand entrance like costume jewellery and sunglasses (at night). And there are the more subtle routes in: Perhaps you'll update your sombre autumn looks with a pair of bright-red knee-high slouchy boots, or a crystal hairclip that gets everyone in your circle wanting to copy you immediately. Perhaps you'll be drawn away from the usual blacks and greys you rely upon when the weather takes a turn and jump into a world of pretty pastel blues (suiting is key here) or all-brown-everything (retro, '70s silhouettes prevail, but brown anything will get a fashion editor's seal of approval here). There are some trends that are just too plain wacky to really affect your wardrobe, so for that reason we've left out a few ideas we know you'd rather sidestep. (Balenciaga's 20 layers á la Joey from Friends is excellent meme fodder, but c'mon, no one has that much time to style an outfit each morning). Instead, the below looks are the ones that are fast filtering onto the street style scene and into your favourite stores. Before you know it, September will arrive, and the below guide will ensure you're 100% ready with realistic, really enjoyable trends to try out. Keep reading for Who What Wear UK's edit on the top fashion trends of A/W 18. You're looking at the mummy, daddy, brother, sister, auntie and uncle of all autumn/winter 2018 fashion trends here. 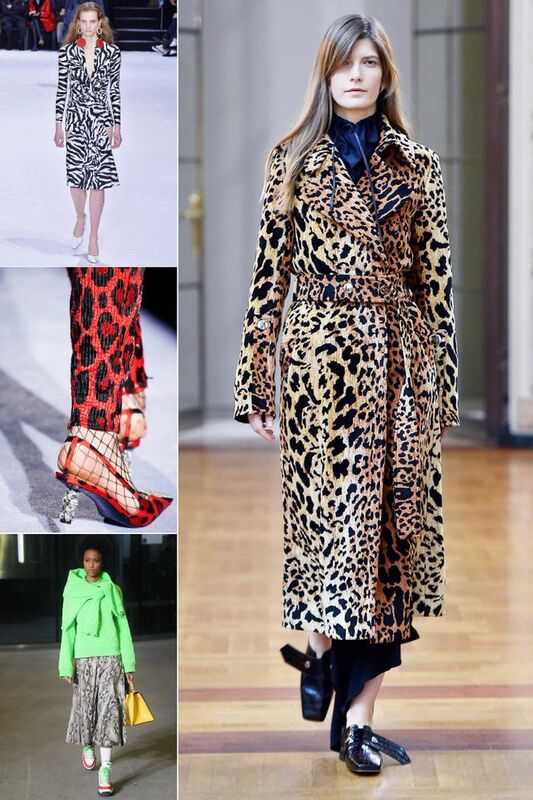 Animal print prowled over an astonishing amount of runways across NYC, London, Milan and Paris, like a Noah's ark for only the chicest passengers. Leopard-print coats and leopard-print shoes will undoubtedly be the two most prevalent ways this trend presents itself on the high street, but there's an abundance of snake and python patterns, zebra, cheetah, faux-croc—some of which come in classic, neutral tones, but there are more wild and wonderful multicoloured versions out there too. Just ask Tom Ford and his racy red leopard print–clad ladies. There are some more literal takes on '70s fashion on the A/W 18 runways, but the way it will affect your personal style is via the colour brown. From Fendi's beige-and-chocolate monogrammed clothes and accessories through to Chloé's entire ode to every possible shade in this spectrum (often all worn within one look), we're not being obtuse when we say brown is definitely the new black. Here's all of the ways to way wear brown like a fashion expert. If there's one thing you're definitely going to see a lot of on A-listers' Instagram feeds, it's legs and super-elaborate party dresses. They're basically going to party like it's 1989, which means satin, silk, velvet, crystals, brocade and sequins used in abundance, but on the teeniest tiniest frocks you ever did see. Worn with equally elaborate jewellery, shoes, bags, hair accessories, gloves and sunglasses, this batch of beautiful dresses will definitely inform the look for the Christmas party season. See the 1980s fashion trends from the original A-list stars at the time. There are cowboy boots, knee-high boots and snake-print boots all taking to the stage for autumn, but if there's one style that's been bubbling up for some time now, it's the slouchy boot. Blame it on the slight '70s revival or just on the fact that a slouchy boot is easier to tuck trousers and jeans into, but there's a little bit of Sienna Miller circa 2004 about what's going on here—and we're into it. Carrying on from this summer's magpie tendencies, you'll find that the coolest designers are just as into kitsch crystals as the Scandi influencer set. From sneakers strapped up with giant jewels at Gucci to new versions of Ashley Williams's popular barettes, there's a crystal item to suit every possible taste, from ultra-flouncy and girlish to punk to sporty and back again. Expect the jewellery departments across the world of e-commerce to be dripping in (faux) diamonds. Shop our favourite crystal trend pieces at every price point. If brown just feels too, well, down for you, then take solace in a much lighter, brighter range of dusky, powdery blues. Designers have adopted this traditionally more summery hue for the winter months by using it for trouser suits, heavy coats and cosy knits. It looks great with other punchy pastels but just as season-appropriate with oodles of black: see Dries Van Noten's inky pencil skirt + cornflower sweater look for a great starting point. For more IRL inspo, see how to wear blue like a street styler. A guaranteed retail smash, look-twice intarsia knits are definitely going to be big business this autumn. From the slogo sweaters that are going to sell out from Christopher Kane (show me someone who doesn't want to wear a red jumper with the word "special" splashed across it) to more complex zigzagged ponchos, there's posh bit of knitwear out there for everyone to snuggle up to. And if Prada's logo jumpers don't go viral, nothing will. Shop our edit of the best slogan sweaters in the business. 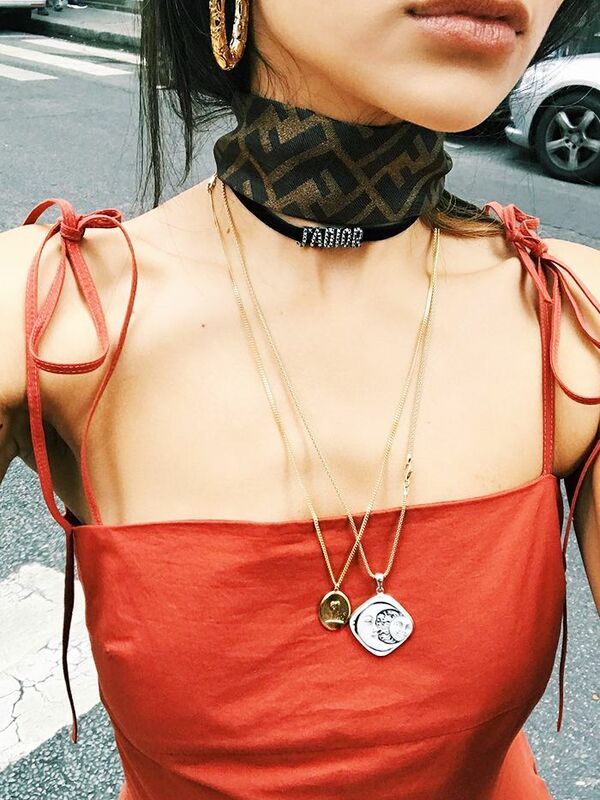 Here's a heads up on where to buy scarf-print pieces already. 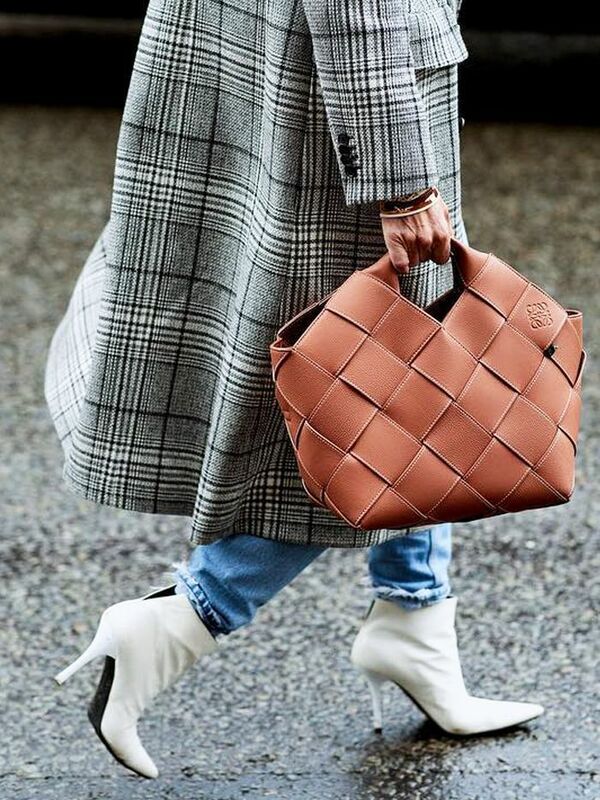 Carrie Bradshaw's favourites are all coming back right now, and along with strappy sandals, it's her fictional bag collection we're seeing as the most adopted new handbag trend in some time: Cue mini shoulder bags adorned with logos, chain-straps or glitzy embellishment. We've already seen a huge comeback for Dior's Saddle bag, so expect more archival pieces to peak soon. Wear yours with the most low-key daytime ensembles to really look modern. We think she'd zone in on Miu Miu's sequin version first… Do you agree?